It is very true that DNA is just one tool in the genealogists basket, but it is wonderful when it can come together and help to validate theories established by traditional research. Confirming the identity of Catherine Britton as my maternal 3rd great grandmother has been one of my goals for about 10 years. Her name has now been confirmed thanks to DNA testing and my first ancestor to be confirmed using the X chromosome. I started seriously researching my family history in about 2006. One of the first exciting discoveries I had was finding out that Thomas Cassidy (my maternal 2nd great grandfather) was a convict transported to Australia on Hercules II in 1830, along with his two brothers Phillip and Edward for throwing their landlords horse off a cliff! Their father Stephen was also imprisoned. Edward escaped from the colony in 1833 but both Thomas and Phillip had families and died in Australia – but more about the Cassidy’s in another post! This is about their mother, now known to be Catherine, or Kitty Britton. Both the death certificates of sons Thomas and Phillip who died in Australia list their mothers name as ‘Unknown Britton’. After exhaustive searching I was unable to find any records in Australia that indicated her first name. There are no parents names on the convict indents but they do indicate their native place as being Fermanagh, Ireland. Thomas’ death certificate suggested he was from Bow, Fermanagh, which we subsequently identified as being the small hamlet and Civil Parish of Boho, near Enniskillen. It was my 3rd cousin Marnie who first alerted me to a possible marriage record on the IGI. The record had been submitted by a member of the LDS church in the US by a woman by the name of Mary Fear (now deceased). This record indicated a marriage between Stephen CASSIDY and Catherine BRITTEN in Ennis, Killeen, Ireland in 1809. Could this be them? At the time we had thought this may have been a reference to Ennis in County Clare. Clare and Fermanagh are not next door to each other, so could it be a different couple? The record suggested Catherine was born in abt 1788. At the time I had no way to contact Mary to find out more information. Thomas and Phillip were born before 1809. It seemed a long shot, these US Cassidy’s descended from a James Cassidy and Margaret McElroy presumably who emigrated from Ireland before 1828. At the time of this discovery, my aunt Mary ROBERTS (now deceased) was very keen to have these connections confirmed, she was thrilled with the fact they had named one of their descendants Jefferson Davis Horan, having long been a supporter of the Southern cause. A pity she couldn’t be here to celebrate. ”She renounced the church at the beginning of the 19th century which her forefathers had followed for over 200 years, and returned to the church of her earlier ancestors, to the Holy Catholic faith and married an outstanding young catholic captain Stephen Cassidy.’’(Source: Fr Peter Charles Klein SYD, Life of Father Philip Cassidy, PP Archdeacon, Benedictine Monks, Arcadia, NSW, Fr Peter Charles Klein SYD). Armed with this information I tried to find records in Ireland of Britton’s who were clergymen. It was then I first made contact with Ruth, an avid Britton researcher in the UK who has become one of my ongoing correspondents, as we agonise over these Brittons. Her Britton family were indeed clergymen in the Church of Ireland and were from Tullyholvin, a townland also in the Civil Parish of Boho. Ruth’s oldest known Britton ancestor is James Britton/Britain, who married Mary Laird, born abt 1788. Could he be a brother of Catherine? We only know Catherine had a brother named Thomas. In 1828 Thomas Britton was living at nearby Mullaghdun Townland about 3 and a half miles from the Cassidy family, he was married had only one son and at least one daughter. It would not be surprising if the family was much larger. Some time after this I met Don online who was a descendant of the US James CASSIDY (believed to be the son of Catherine Britton and Stephen Cassidy). Don told me of a relation who he understood had a family bible which he was hoping to inspect. It turned out this was Mary Fear the person who had originally submitted the IGi record. Shortly afterward in 2010 I stumbled upon the email address for Mary Fear on the internet, so I quickly wrote to her about the family bible. Mary kindly copied the bible pages for me even though she was very unfamiliar with scanning, it showed the births, deaths and marriages of the family. Mary told me the bible pages had been given to her by her aunt, Hortense Horan, prior to her death. From my observation it looked as if someone had later tried to make sense of the some of the information and added to it after it had been originally recorded, particularly for the later entries. However what was clear was that the parents of James, were recorded as Stephen Cassidy and Catherine/Kitty Britton, and indicated that James married Margaret (Granny) McElroy in Enniskillen, Ireland. It seems likely that the IGI record for Catherine Brittens birth was estimated based on this record. If James was born in 1810, then a marriage in 1809 and a birth date for Catherine of 1788 suggests she would have been at least 21. So it is plausible that the marriage could have been much earlier, and consequently her birth date also much earlier too. Her husband Stephen was not transported due to his age in 1830, so perhaps both could have been much older, or not. About this time I became interested in DNA testing and tried to encourage all my Cassidy/Britton contacts to have theirs tested too, hoping to solve this mystery or at least confirm a connection. It was early days and I didn’t have much joy there. We made our first visit to Enniskillen in 2011, examining the headstones in both the Roman Catholic and the Church of Ireland cemeteries at Boho looking for clues, we found some headstones for other Britton’s, could they be connected to our family? Fast forward to 2014, Ruth agreed to do a DNA test for me. We had by now several of my family members tested and we hoped we would get a match. Alas no, not to any of my direct family anyway but she did have a very large match on chromosome 17 with my second cousin John. The segment range 62.2 – 75.3, segment length 32.9cMs. Whilst it may include an old population segment (Identical by population – IBP), which could explain the size, I believe well over half of the match to be an ‘identical by descent’ (IBD) segment. John and Ruth would be 4th cousins once removed if Catherine and James Britton were siblings, so a match this large might be considered unusual. There are however multiple people who triangulate in this same segment area, and whilst we cannot definitively confirm a connection the segment is shaping up to possibly being a Britton segment, or at least one from Fermanagh. At least two others have links with the name Britten or Fermanagh, the known ancestors in this triangulated group are shown below. If anyone has more information on how these families might connect please let me know. I live in hope I might get more responses from others who also triangulate on this segment. Using visual phasing techniques for my mother and her two siblings, then John and his uncle, we have established that my mother and her brothers all inherited the same DNA from the same maternal ancestor on these segments on chromosome 17. Their first cousin Michael (Johns uncle) also appears to have inherited the same segment as the Roberts siblings. So John may have inherited this segment from the opposite maternal grandparent (to that of the Roberts siblings and Michael). Unfortunately, we have no other confirmed matches on chromosome 17 to give us more clues about which grandparent gave them the segment, so the question remains – is Johns segment the Britton line, or is it a segment belonging to his mothers paternal side? Details of the triangulated groups can be found here. In studying Ruth’s matches one day I discovered that she and I had an X match. Funnily enough Ruth and I are possibly related on two lines, she is also a 4th cousin once removed to me on my paternal side, shared ancestors Thomas Ellard and Elizabeth Risley. However when I checked our possible X DNA ancestors, neither Ellard/Risley or unknown Britton could have contributed to her X-dna, so this match was probably just ‘identical by chance’ (IBC). So once again, we have nothing to confirm! 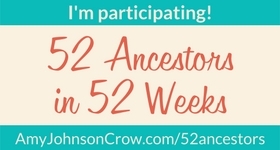 Imagine my surprise, when recently Don’s name popped up in my AncestryDNA matches! How exciting, he matched me and my mother. After he uploaded his results to GEDmatch I was very quick to examine how he matched all our known Cassidy/Britton connections. He had quite good size matches with my mother and one of her brothers Barry and their 1st cousin Michael, however none of them triangulated. Don and Mum (and her brothers) would be 3rd cousins twice removed so we needed triangulation to confirm the relationships. As I was getting dismayed, I suddenly remembered I hadn’t looked at the matches on the X chromosome. Hallelujah! We have a triangulated segment, between Don and two cousins, Michael and Mums brother (another John), different descent lines, triangulated between locations 99.7-115.4, about 14cMs. The two other cousins who match Don follow a similar X inheritance path, just on their maternal side, both being male. The following image is my X chromosome inheritance path, but the X inheritance paths for both cousins follow the same ancestral lines back from Rebecca, and descend from different children. At last, we have confirmation that the US and Australian families are connected and finally our “Unknown’ Britton has a first name, Catherine or perhaps ‘Kitty’ Britton!! But, we still haven’t managed to connect her to other Brittons in Fermanagh by DNA, that is still works in progress. When we visited Boho in 2011, my husband and I went to ‘The Linnet Inn’ and had a Guiness to toast my Cassidy ancestors, thinking they would have gathered in this very same place. It was many years later that I found out the original owners of this wonderful establishment were none other than Ruth’s Tullyholvin Brittons! Could there be a Britton ancestral connection to this place for us as well? I hope to be having another visit here when several of Catherine’s descendants will be meeting in Enniskillen for the 2017 Cassidy Clan Gathering! By now Ruth and I have amassed a possible family for our Catherine and her James. We can’t confirm it yet, we need your help. Anyone descended from the Britton/Britten/Britain families of Fermanagh, please consider DNA testing. It is our strong belief that most of the Brittons in the area were related. For a list of Catherine’s known descendants please click here. • James Britton bef 1788 m Mary Laird, at least 11 children. Descendants in UK and Canada. • John Britton bef 1785 m Mary Hamilton, at least 7-10 children (one DNA match so far, but not triangulated). Some descendants in Australia. • Margery Britton bef 1800 m William Elliot, at least one son Robert Britton Elliot. Some descendants in Australia. One final point of interest is in relation to Catherine parents. In examining other potential matches on the X chromosome, it may suggest that either Catherines paternal grandmother or more likely her mothers family, may have had German ancestry. Baden Wuttenberg being a common location. The Brittons may well have come from Scotland or England during the Plantation of Ulster, but could her mothers family be German Palatines? Time will tell…….perhaps we will discover more when we visit Enniskillen again later this year! After writing this article I had another discovery. I’ve been staring at an ‘anonymous’ predicted 3rd cousin match at 23andMe listing the surname Cassidy, for several months. I was recently finally transitioned to the ‘new’ 23andMe experience, which allowed us to contact anonymous matches, which we couldn’t do on the ‘old’ experience. I quickly made contact and found this person was indeed another descendant of Catherine Britton, from her son Phillip! Remarkably she matches my mother and I on the same segments on Chromosome 1 as we match Don. I long to be able to get her onto GEDmatch to make sure she matches Don, then we would have another confirmed triangulated segment! Finally in closing, it is with great sadness I have to report that Michael Stevens, my mothers first cousin referred to in this post, passed away in the last week after a long illness. Our thoughts are with his family and friends at this time. However, his DNA sample lives on and we hope in time it will provide many more clues for his descendants and extended cousins on their journeys to discover more about their ancestral origins. 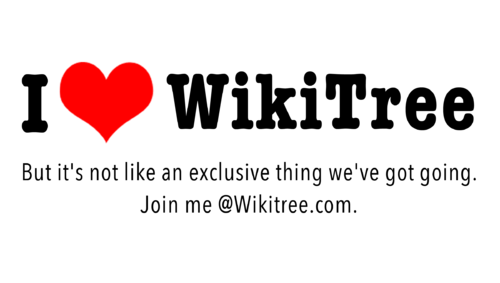 As always, if you can help me expand my research please do not hesitate to contact me via this blog or via private message at Wikitree.